Eighteen months on from the masterful I'm Still Here If You Want Me, London-based Oliver Girdler is back as his alter ego Forced Random with his third EP and it's a true belter. Though not exactly departing from the successful formula of past releases, Oliver has built upon their foundations, moving further away from introspection. Recording the tracks as live, the benefits with which are immediate, he has produced a joyous, heart-warming EP, that will prick the attention of even the most stubborn listener in these uncertain times. 'Lay Bare' kicks things off, with pleasant, treated and looped chainsaw-guitars backing Oliver's initial submerged vocal, opening out with the introduction of throbbing, marching bass and drums, as Oliver's vocal becomes ever-clearer. The song contiinues to build through chiming, uplifting and lightly-fractured guitars into a soaring chorus, that hints at early The Boxer Rebellion and Tindersticks at full orchestral pelt. A rapturous, expansive opener that instantly leads the listener into nodding appreciation. Skeletal, delayed guitars lead the way with the atmospheric 'You Wanna Leave', before lightly-fuzzed guitars appear amongst the ripples of percussion. Oliver's vocal “here we are again, are you listening, take control of me, I could use some certainty” seems like an apt and prophetic plea for reassurance after recent events. 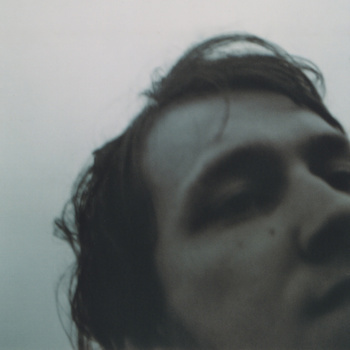 It is a patient song with pieces of slide guitar and trickles of violin that puncture the relaxed tempo, drawing the mind to Low's Invisible Way or the sparse nature of What's In It For Me from The Walkmen. 'Best Left Behind' is possibly the biggest departure from the past, with a conventional opening that almost swaggers its way in, with just touches of tone bend in the big, open guitar chords to maintain its identity. The vocals are still distorted and double-tracked but feel more natural on the track. The hints of psychedelia especially in the repetitive bass and drums feel akin to early Verve, especially 'Gravity Grave', but still sounds as fresh as a daisy. Oliver's push for a pop hit perhaps, though there is still some room for an atonal piano in the extended outro to add further flourish to the track. The plaintive 'I May Believe In Me' again shifts the tone of the EP, with an ascending, major-key acoustic guitar line and Jazz-feel percussion backing Oliver's vulnerable vocal. The songs builds with violin added to the mix culminating in the repeated “I may believe in me” line , that touches on Americana and especially the poignancy of Do You Realise? by The Flaming Lips. The positive nature of the EP is multiplied manyfold by the glorious closer 'Go Get It'. With hyptonic guitars that open out into blissful fuzz and an upbeat feel, it is reminiscent at times of the soaring moments of Deserter Songs-era Mercury Rev in the fragile vocals and uplifting melodies. It feels like a clarion call to everyone that you can achieve anything and there's support out there to help you on your way, especially in the lyrics “it doesn't mean it will last, you're only half the way there, you're not on your own”, and is a wonderful, encouraging track that leaves a tingling feeling and a beaming smile on your face after each listen. With each EP Oliver's confidence and maturity has continually grown resulting in a beautiful EP saturated in optimism that still provides a perfect balance between light and dark. 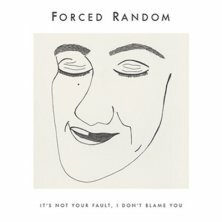 Forced Random is a force to be reckoned with.